As we kick off August, we like to share lots of ways to keep extra cool and comfortable as we prepare for the "Dog Days of Summer"! It's important to implement a routine to beat the heat before the mercury rises into triple digits! Keep reading for these tips and more fun, simple and practical ways to keep your pup's best Summer rolling! Mornings and evenings are great times of day for your wonderful pup to enjoy the outdoors - even during those times, shaded areas can still be relatively warm. Take some time to ensure their play area is dotted with trees, perhaps an awning or maybe even a small patio table area where they can rest before they finish playtime to temper their energy and fluids. 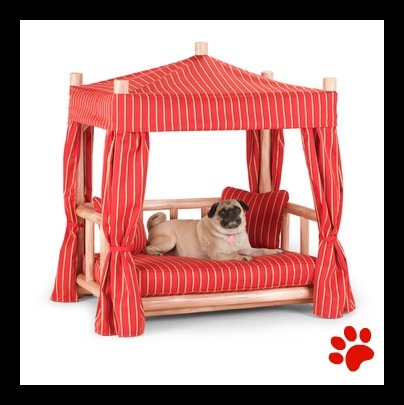 If the temperatures rise to triple digits, shade is just one of several measures that should be considered to keep your pup safe. Always prepare more than one comforting option for dogs since the heat index and humidity can reduce their comfort quickly. A kiddie pool for games, monitored time outside and simple furniture under which a dog can lay can help preserve your dog's electrolytes even for the time that they may spend for limited exercise and bathrooming. While it may not be a scorcher every day, it's still crucial that during warmer months, you ensure your dog has easy access to clean and cool water both indoors and outdoors. During the hottest days of the year, allowing your dog to spend more of their day indoors will help to ensure your pup is less susceptible to heat stroke. For a few more tips about how to identify and prevent canine heat stroke, please take a moment to review these signs. What would make up the Side Kick crew's ideal Summer evening? After a cool evening walk with our favorite pup(s), it's always fun to kick back on the porch with the furries and nurture our minds before turning into bed. We like to provide our pup with a doggy puzzle and tuck into the latest mystery must-read like, A Fistful of Collars. Everyone’s favorite detective team returns in a new adventure as canine narrator Chet and his human partner P.I. Bernie Little find that Hollywood has gone to the dogs. Hoping to bring some Tinseltown money to the Valley, the mayor lures a movie studio to town to shoot their next production, a big-budget Western in the classic tradition. The star is none other than ruggedly handsome—and notoriously badly behaved—Thad Perry. When the mayor decides that someone needs to keep an eye on Thad so that he doesn’t get into too much trouble, Bernie and Chet are handpicked for the job. The money is good but something smells fishy, and what should have been a simple matter of babysitting soon gets more complicated—especially when they discover that Thad has a mysterious connection to the Valley that nobody wants to talk about. What kind of secret could Thad have left behind when he went to Hollywood to seek fame and fortune? The only people who might know the answer have a bad habit of turning up dead before they can talk. As Bernie’s relationship with his longtime girlfriend Suzie goes long-distance, and Chet’s late-night assignations appear to have resulted in an unexpected dividend, it’s all our two sleuths can do to keep Thad and his motley entourage of yes-men, handlers, and hangers-on in their sights. Worst of all, Thad is a self-proclaimed cat person, and his feline friend Brando has taken an instant dislike to Chet. 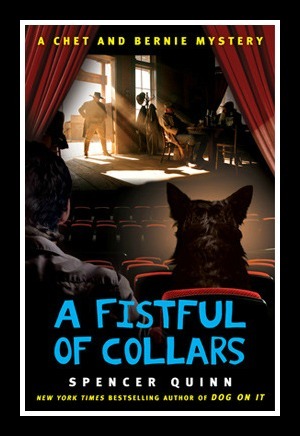 Like the winning books before it, this fifth book in the series combines a top-notch mystery with genuine humor and a perceptive take on the relationship between human and dog that will stay with you long after the case is solved. Happy Summer, have fun and stay cool!